What are those two up to? Plotting to take of the world, or maybe just your back yard. 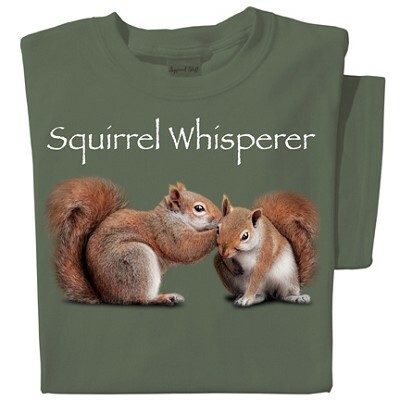 Or maybe they're whispering jokes about that time they ransacked your garden. This tee is a 100% cotton, pre-shrunk, heavyweight natural green tee. Top quality silk-screen image. Designed and printed in the USA. Available in sizes S - XXL.